Ultimate Marvel vs. Capcom 3 was, on the whole, considered a better balanced edition than regular-old Marvel vs. Capcom 3. That's not to say it couldn't use some tuning, and Capcom's top fighting game producer says a balancing patch could be coming. This despite rumors that the game no longer has a development team, and statements that licensing may play a role in maintaining or rebalancing the game. Still, at Comic-Con, producer Yoshinori Ono told fans that while new content likely isn't a possibility, the game could stand to be rebalanced. He asked fans to make suggestions to the changes they'd like to see. Shoryuken notes this could be a sly "effort to get the ball rolling on license negotiations." So, fire away. If they're aware of the need for a rebalance, what should go into that? [Update] In a subsequent interview with Siliconera, Matt Dahlgren, senior product manager on Capcom’s fighting games, said don't expect a rebalancing. 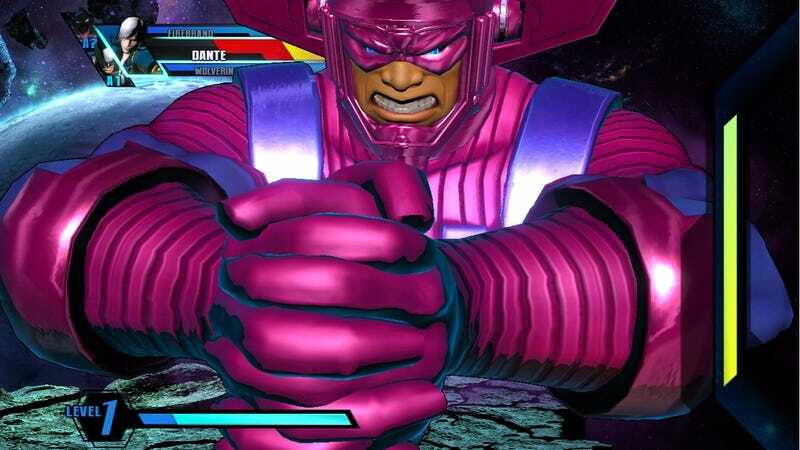 "We’ve also said we are not working on an update to Ultimate Marvel vs. Capcom 3. Our focus is still on Street Fighter."